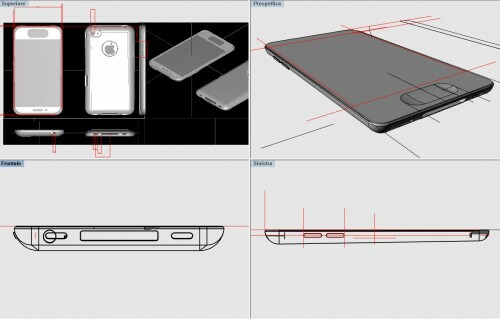 Last month, we saw a leak of the design specification which claimed to be for the iPhone 5. Chinese case manufacturers seem to be betting on that design as they've already started producing cases based on that design document. We'd even requested and received some early renders based on the case designs. Given how predictive the case designs have been in the past, we commissioned CiccareseDesign to create high quality renderings made as closely as possible to the original leaked case designs. Measurements were taken against the original case design leaks, and then imported into 3D modeling software. The designs show manufacturers what areas need to be open or exposed for cases, but reveal little else. In the past, this has caused some misunderstandings about future features. iPad 2 cases seemed to suggest an extra port at the top of the device, but that turned out to be a space for a microphone hole. Similarly, there are a few areas on the iPhone 5 case designs that are open to interpretation. Click on the images for a larger view. The elongated hole for the home button has suggested that the home button may itself also become more oval in shape. That is the direction our designer took as well. It's also possible, however, that the home button will retain its round shape and Apple has simply allowed extra space for swiping across the home button in a left to right or right to left manner. These's been some speculation that Apple could allow such a gesture for users to quickly switch between multitasking apps. The exact screen size is another aspect that was hard to determine on the design drawings alone. Our renderings have enlarged the screen size to the space shown on the case designs. But, Apple has introduced a "swipe down" from the top of the screen notification system in iOS 5 that could benefit from some extra finger-space near the top of the screen in order to properly register. So, it may be that the screen isn't quite as large as depicted by the cases, and simply Apple allowing for extra space for these swipes. The representation here, however, does show a 4 inch screen which preserves Apple's current screen ratio. Rumors have suggested that Apple may be enlarging the screen size in the upcoming iPhone models. The back of the device has tapered edges which makes it look much closer to the iPod touch. As well, there had been rumors that Apple would be abandoning the glass backing of the iPhone 4 and instead moving back to an aluminum design. The final dimensions of the new design are calculated to be: 4.33" x 2.36" and .27" thickness at the top and .21" at the bottom In comparison, the iPhone 4 dimensions are: 4.5" x 2.31" x .37". So the new design is actually shorter than the existing iPhone 4, but slightly wider and thinner. 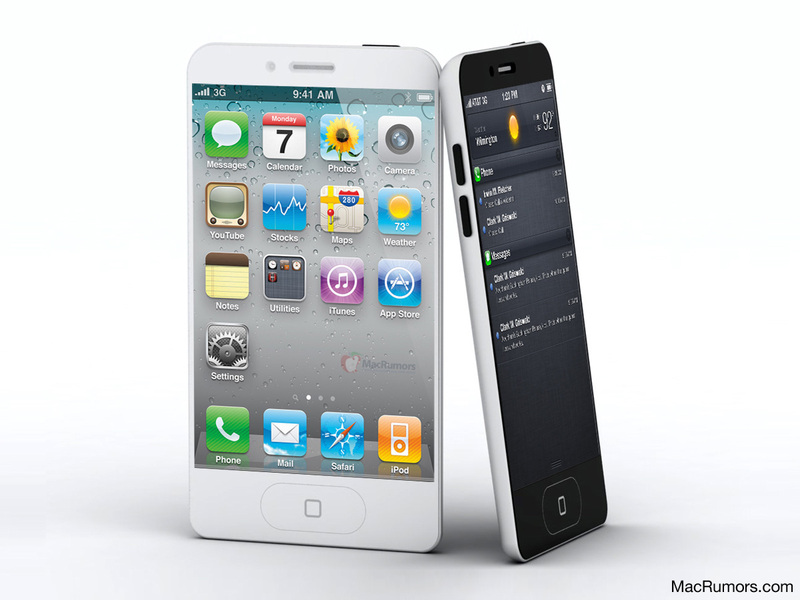 Assuming the leaked case designs are accurate, the iPhone 5 should be close in appearance to these renderings. The iPhone 5 is expected to be released in September or October of this year. I really don't like the look of that Home button, and I hope Apple loses their obsession with "Thinner & Lighter" on their phones. If it gets too light it'll just feel cheap, I'd prefer to have the thickness of the iPhone 4 and have a better battery inside. I do love the idea of a bigger screen though. So what you guys initially doubted when you reported on This Is My Next's design is now the exact same design they had said months ago? Wouldn't your hand/thumb keep hitting the screen? Visually I like it but I feel like I would register a lot of accidental touches if I don't hold it carefully. 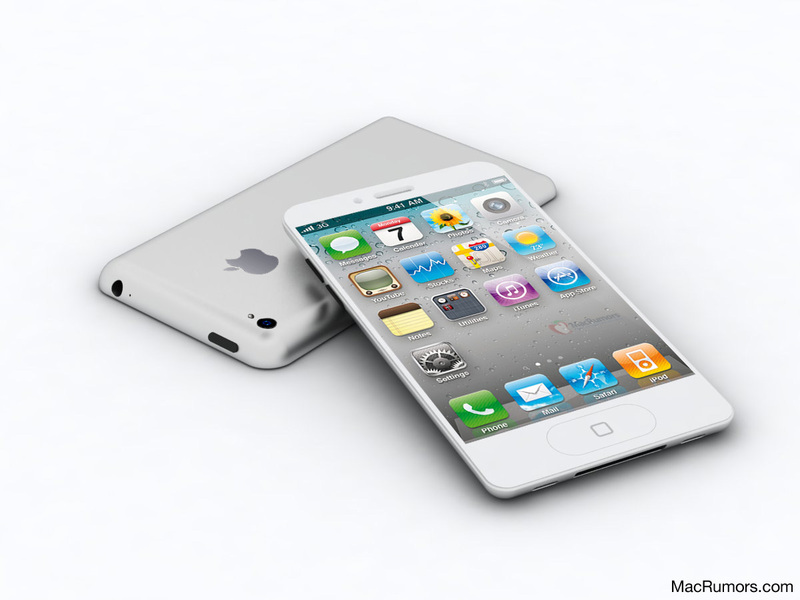 it is said that the new iphone 5 (http://www.iphoners.tk) will have a Curved glass screen with a 3D display . I actually like the glass back. I wonder how they'd handle an antenna going back to aluminum (i.e. are they putting a plastic patch on it as seen on the iPad GSM/CDMA and iPhone). Anyway, in September we'll either find out how they'll do this or find out quite a few case makers were fooled and have to eat the cost of all those cases. I guess I'm in the minority, but I think the mockup looks very unbalanced, and I would be really surprised (and a bit dissapointed) if that's how the final design looks. Sure, from a graphics/quality perspective the render is polished, but the uncentered screen just looks...awkward...and Apple doesn't tend to do awkward all that often.